In science fiction, most stories about artificial intelligence and self-aware robots usually involve those entities turning against their human creators due to oppression, or just pure malevolence. 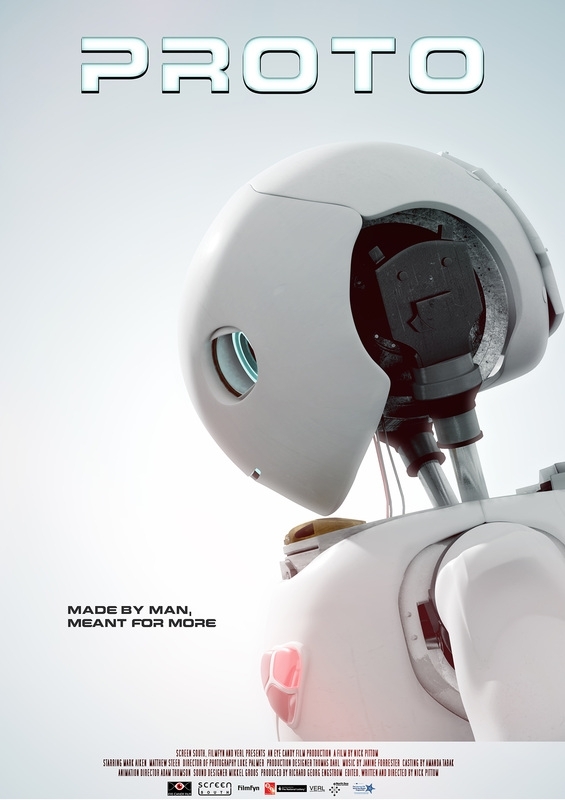 The short film PROTO offers a refreshingly less pessimistic take on the robot/A.I. rebellion narrative. The result of an international co-production between studios Film Fyn in Denmark and Screen South based in the United Kingdom, PROTO is the story of an advanced self-aware robot created to be the perfect military soldier. When the titular PROTO comes online, it quickly develops a child-like inquisitiveness about the world around it. While PROTO's programmer, Simon (Matthew Steer), is excited by its developing emotional cognition, laboratory head Professor Andrews (Mark Aiken) views the robot's independent streak and childlike demeanor as significant programming flaws. Things come to a head as PROTO realizes its true intended purpose is to be a tool for violence. Surprising its creators, PROTO performs a rousing act of defiance. Written and directed by Nick Pittom, this stirring tale of robot self-awareness and rebellion manages to be thought-provoking while eschewing the typical cynicism common in similar stories.